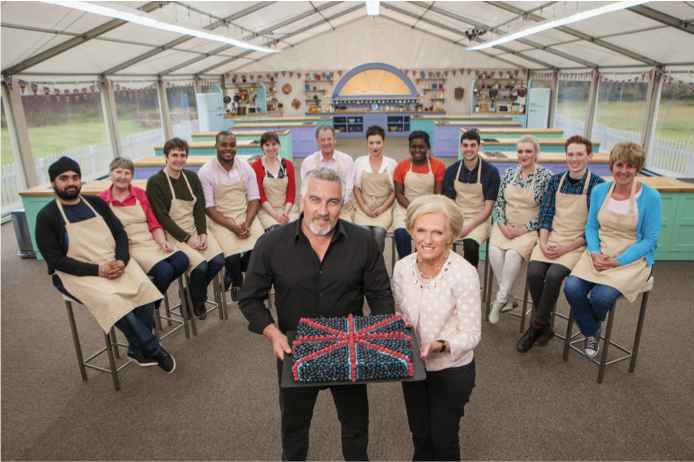 GBBO has become a key cultural marker of Britishness as a national imaginary. In 2016, American sketch show SNL produced a GBBO spoof featuring exaggerated English accents, parodies of traditional “British” characters (complete with problematic class representations), and presenter “Mel” announcing ‘the prize is the honour of being the best baker, and being British’. 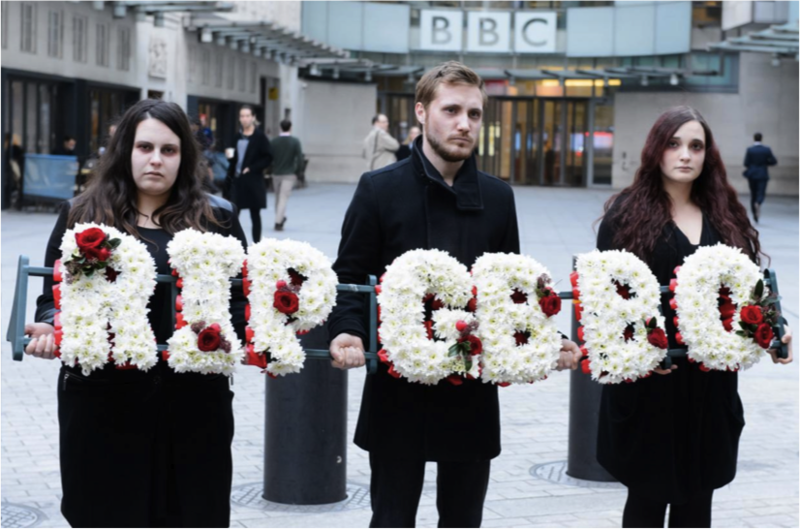 The recent furor over Channel 4 buying the show, and subsequent resignations of Mel, Sue and Mary Berry, dominated the news as something of a national crisis. The quintessential ‘Britishness’ of GBBO has also been associated with the rise of austerity chic: the re-appropriation of wartime austerity as a marker of value. From its inception, GBBO has tapped into this cultural trend: aside from the retro domesticity associated with baking, the set is designed around the vintage aesthetic. It promotes an image of Britain as a great wartime leader, drawing on national values of stoicism and strength against the foreign enemy. It’s perhaps slightly inevitable, then, that the 2016 finale drew on the other stalwart of Britishness: the royal family. As Mary Berry explained, ‘it’s quite right that we go royal’ given Elizabeth II’s recent 90th birthday, and the contestants were tasked with baking a meringue crown and a ‘picnic fit for Her Majesty’. Considering the similarities in their constructions of national imaginary, it’s surprising the two have never been conflated before. Both rely on recourse to the past – a historic sense of British strength and power. As myself and the CelebYouth team have separately argued, the royal family also taps into austerity chic trend. Both rely on a kind of “wholesomeness”: Britishness untouched by technological advances and sexualised ‘commercial’ entertainment (innuendos from Mel and Sue notwithstanding, although there’s something to be said here about how these fit within a longer history of innuendo and camp in British comedy and cultural identity). But shaping a British national imaginary around the monarchy is problematic if we consider the troubled and complex trajectory of its development. As many academics have pointed out, Great Britain is essentially an umbrella term for an assemblage of previously independent countries, with the composite term arising after the Act of Union in 1707. The common understanding of ‘Great Britain’ arose following centuries of war, colonialism and imperialism; something the monarchy cannot be divorced from. If citizens of Great Britain continue to nurture their regional cultures, there is an absence of national identity structured around fixed state boundaries. Thus, a monarchy can act as an ideal substitute. It can symbolise national identity on a level distinct from geography or politics. If it functions as a royal family, it can promote an intimate set of relations built around familial ties. This is an especially compelling history considering the contemporary debates around devolution. Can a British monarch continue to be a mainstay in Scottish national imaginaries? Meanwhile, the austerity culture so clearly encapsulated in both the monarchy and GBBO clearly speaks to discourses of British victory. Cultural comparisons between Elizabeth II and Queen Victoria are increasingly common as Elizabeth continues to break reigning records set by Victoria, and we saw this again on GBBO, when Andrew chose to bypass Elizabeth and fashion Victoria’s crown out of meringue. These comparison are made, primarily, because of their gender. But we can also consider this in terms of Victoria’s title as Empress of India, and her reign as the high point of Empire and colonialism. Such comparisons, then, are particularly symbolic – and problematic – in a post-referendum climate where anti-migration rhetoric is reaching a higher pitch. Both the Empire and Brexit build national imaginaries which draw on racialised perceptions of Britain as primarily white, “othering” those outside of this profile. And, as we’ve seen in the coverage of the Calais Jungle and murder of MP Jo Cox, this is leading to increasingly dangerous conceptions of British sovereignty which demand the literal eradication of anything posing a threat to this. What is interesting about GBBO, however, is that the shows producers have consistently resisted racial or gendered stereotypes in their contestants (although not in their presenters and judges). 2015 winner Nadiya Hussain remains extremely popular, and her victory was hailed as demonstrating the successes of multi-culturalism in Britain today. There is a lot to develop here, but I wonder whether this would differ in the more fragile political climate of 2016. We can make a final observation on the role of the BBC. The presentation of both GBBO and the monarchy as symbolic of Britishness is crafted by the BBC: the broadcaster of the national imaginary. 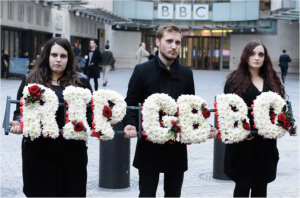 Yet recent changes to public service broadcasting, such as the BBC charter review and an upcoming 60% privatization of BBC radio, raises questions as to how the BBC may continue to play such a role. The decision of Love Productions to sell the format to Channel 4 incited widespread anger about national values, but spoke to the growing commercial imperatives governing broadcasting. How the ‘Great British’-ness of GBBO will look when the format moves to Channel 4 remains to be seen: as does the loss of the show’s own queen, Mary Berry. But we need to address how the continued shaping of a British imaginary around recourse to the past might be problematic. Although GBBO continues to promote multi-culturalism as a key part of Britishness, the white public face of monarchy does not, even if their ‘blue blood’ is a myth. In such a precarious political climate, is wartime nostalgia really a helpful way to define and shape the national imaginary?